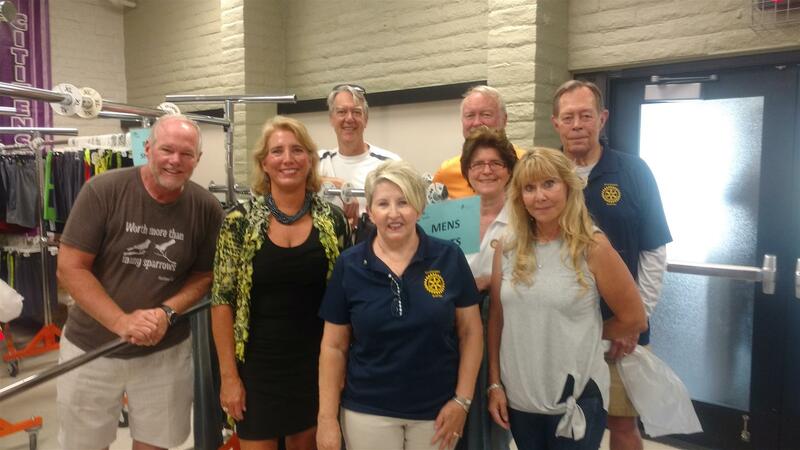 Scottsdale Sunrise Rotary had a another great opportunity to continue to partner with Vista del Camino, which is the City of Scottsdale’s social services network. 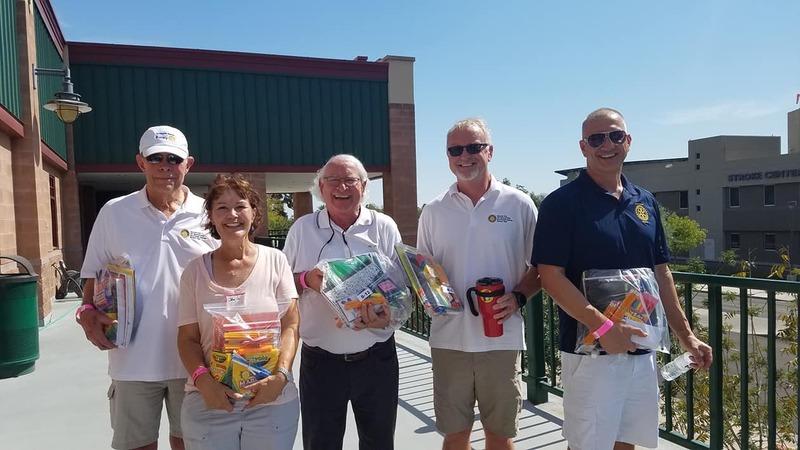 The Back-to-School Program provides essential school supplies, backpacks, clothing and shoes to 1,025 Scottsdale-based, Kindergarten through 12th grade, income-eligible students at an event at Scottsdale Stadium on July 26, 2018. A broad partnership of city, school, civic, faith and business organizations collaborate on this program that equips students for school success. Our Club provided volunteers for two shifts to assist in the distribution of the supplies to the kids. In addition, a group of Club Members went to Vista del Camino on August 9, 2018 to help sort, inventory and pack left over items. The Back-to-School Program would not be possible without the generous support of individuals, groups, and organizations that donate, sponsor, and volunteer for the program.